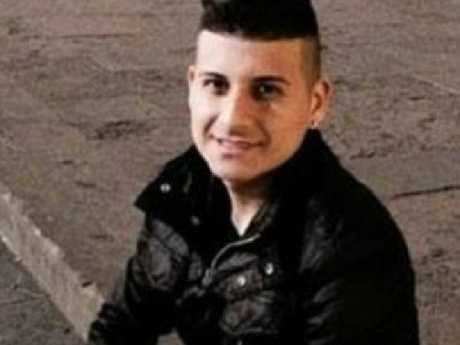 "I saw the road collapsing, with all the cars that I had in front of me at that time," FL told rescuers. "When a car overtook me I slowed down … (then) at a certain moment everything shook. The car in front of me disappeared and seemed to be swallowed up by the clouds. I looked up and saw the bridge pylon fall," he said. "Instinctively, finding myself in front of the void, I put the van into reverse, to escape this hell." 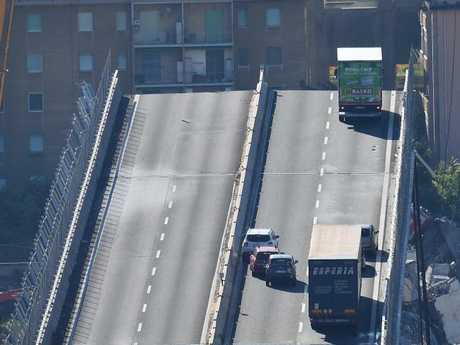 The driver left his green lorry precariously close to the edge of the collapsed road, telling Italian media how he had escaped the "hell" of the bridge collapse. "It was raining very hard and it wasn't possible to go very fast," he told the Corriere della Sera newspaper. 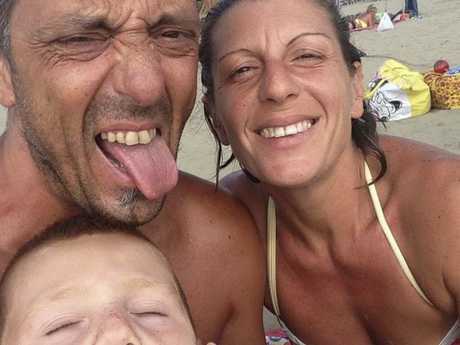 Roberto Robbiano, 43 with his wife Ersilia Piccinino and their son Samuel. Mr Cerulli's football team confirmed his death on Facebook, posting a tribute for the dad with a picture of him balancing his son on his shoulders. 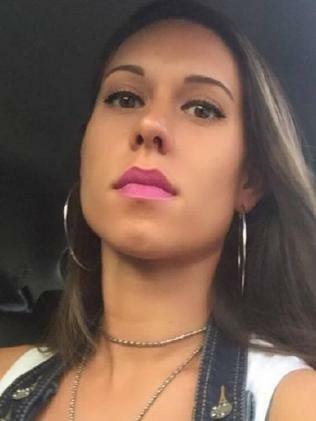 Another victim was 24-year-old Stella Boccia. 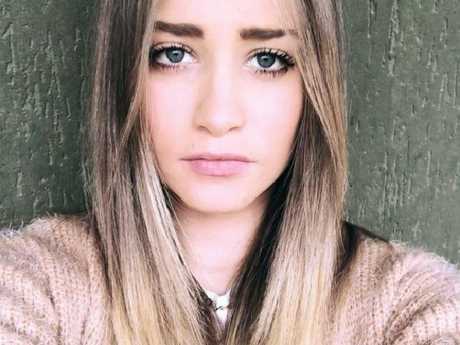 Her parents run a restaurant in Tuscany and confirmed their daughter's death via their Facebook page. "We apologise to our customers, but we will be closed for mourning. Unfortunately a piece of our hearts remains under the rubble of the Genoa bridge." 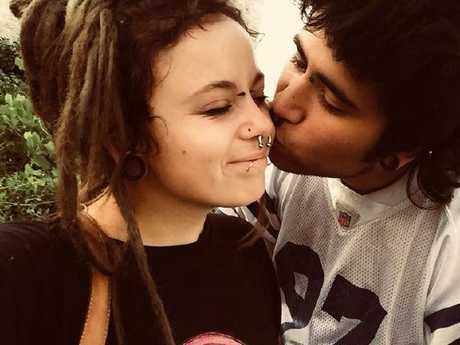 Carlos Trujillo, 23, died with his girlfriend. 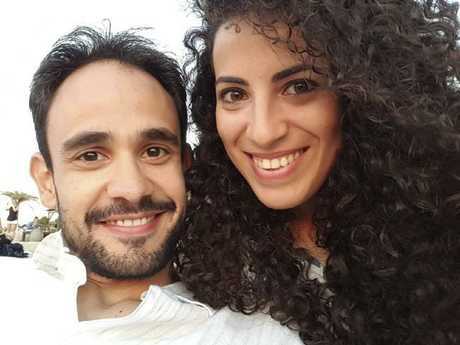 Survivors who witnessed the bridge collapse have spoken about the horror moment of watching almost 100m of road collapse as if it was "made with flour". 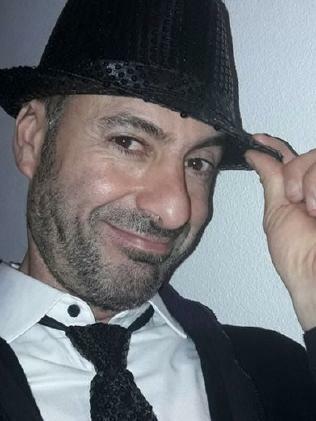 "I saw the bridge collapse in the rear-view mirror, a terrible fear, I'm miraculously alive," he told Repubblica. Italy's government has blamed the firm that operated the collapsed Genoa bridge for the disaster as it announced a state of emergency in the region. 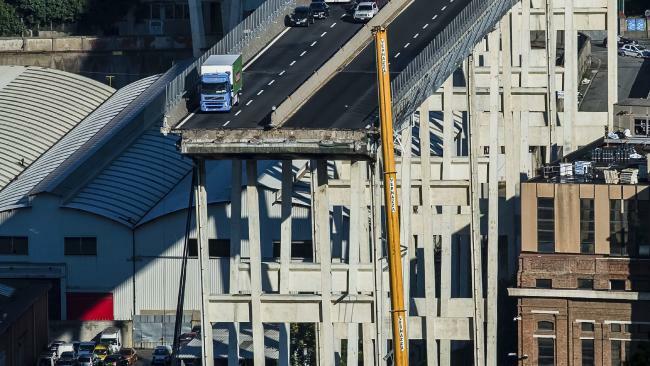 The tragedy has focused anger on the structural problems that have dogged the decades-old bridge and the private sector firm Autostrade per l'Italia, which is currently in charge of operating and maintaining swathes of the country's motorways. 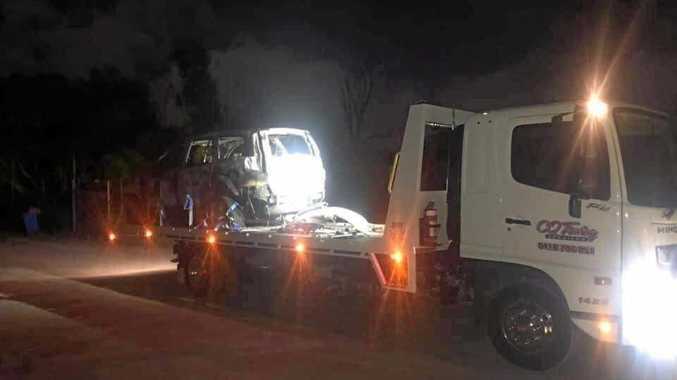 Italian deputy prime minister Luigi Di Maio said the tragedy "could have been avoided". "Autostrade should have done maintenance and didn't do it," he alleged. 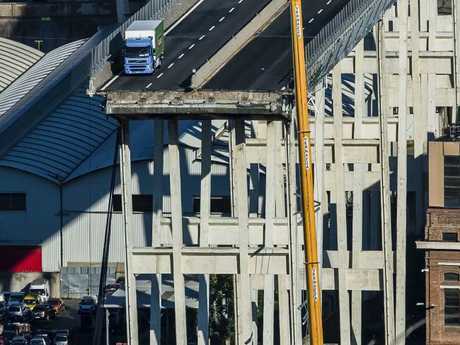 Prime Minister Giuseppe Conte also confirmed that his government would push to revoke the company's contract for the A10 motorway, which includes the bridge, while Transport Minister Danilo Toninelli said the company should be fined up to €150 million ($A235 million). "In the last five years (2012-2017) the company's investment in the security, maintenance and strengthening of the network has been over €1 billion [$A1.5 billion] a year," it said.